Welcome to the story of Lucky & Sky, the test subjects in the Rehabilitate & Recover program. The core focus of the R&R program is to educate equine professionals such as veterinarians, trainers, competitors, shippers, and others on the Draper Therapies products and how they work to help your horses recover after competitions for faster recovery time. When my horses Sky and Lucky injured themselves recently, they became the test subjects in an even more intense use for R&R: in this case recovery from severe, and potentially career (and life)-ending injuries. 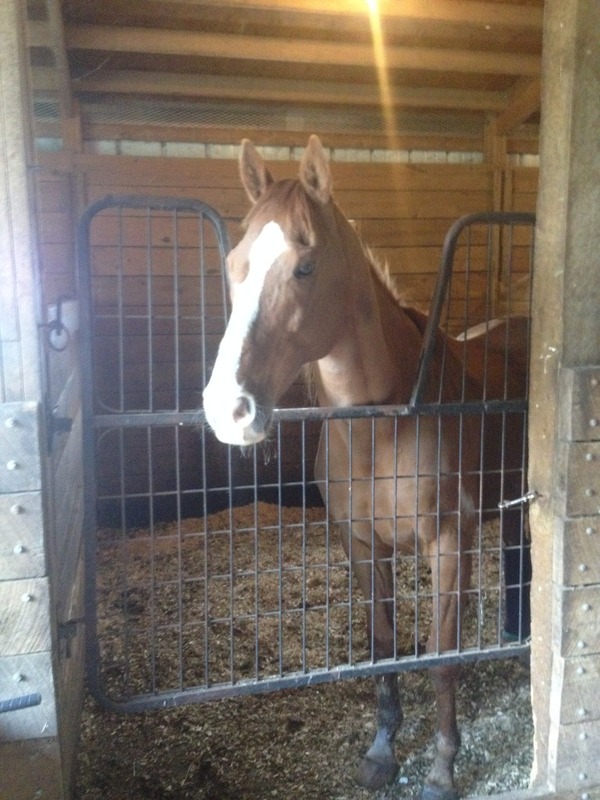 Lucky on stall rest at home.